My wife loves this soup which she used to take during her confinement period. We still cook this dish occasionally to eat with rice. The soup has very strong sesame oil aroma and sweet flavours from the pork. I normally use lean pork but those with a little fat would make the soup taste better. It is good to drink this soup, especially during rainy days when you need some hot soup to perk yourself up! 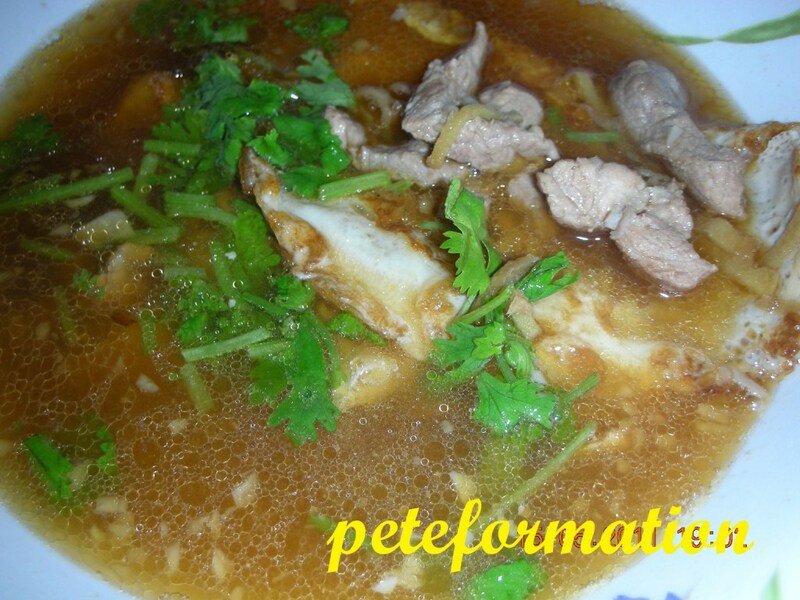 Here is my recipe for Sesame Oil, Eggs, Ginger and Pork Confinement Soup. Fry eggs, sunny side up and put aside. Add some vegetable oil in wok. Saute ginger and garlic until golden brown. Pour in the sesame oil. Add lean pork and stir fry for a short while (Opps, missed this step, thank you Yvonne for highlighting it to me). Add aound 2 to 3 rice bowl of water. Put in the light soya sauce and salt. bring to boil. Pour the soup on the sunny side up eggs. Garnish with celery before serving. oh that looks delicious! I am not a ginger fan, but this might be something I would take haha! Looks like a bowl of caring and loving there Pete! A little bit Japanese influenced too. I would love one for my confinement too! Delicious, I only drink soup, no need rice already. Oh, my MIL is good in cooking this soup. She even add in liquor (brandy, I guess) for a greater kick! Err... when is the lean pork coming into the step? You didn't mention wor..
at first I tot u became daddy again. kekeke. Very Foochow dish...best with mee sua...withot without the meat (chicken or pork). Yvonne : Opps missed out the step, thanks for telling me. Cheers. i dont need the pork here, can just enjoy the soup, slurp! ohhhhh...I can nvr hv enough of confinement soup, especially with plenty of rummmmm! yummy! during my confinement, the lady made omelete eggs with ginger n made it into soup. if add some homemade confinement wine, then more perfect lor! Pete can cook for me during my next confinement? 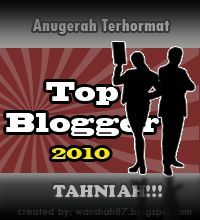 tQ in advance.